Concluding an action-packed NFL season, the 2015 Pro Football Hall of Fame induction list was revealed over Super Bowl weekend and there are a few names that should be very familiar to collectors. Headlined by Jerome Bettis, Tim Brown and Junior Seau, a total of eight individuals will have their names officially enshrined in football immortality at the ceremony in August. Collectors can get a jump on things by checking out the full rookie card checklist for each player in the guide below. The full 2015 Hall of Fame list includes six players and two general managers. In addition the names above, Charles Haley, Will Shields, Mick Tingelhoff, Ron Wolf and Bill Polian will also join the exclusive football club. Most of the players have several rookie cards options and can be found for budget prices. While former general manager Ron Wolf has been included in multiple team sets, there are no cards currently available for Bill Polian. Also, a few notable individuals missed the cut this year, but should see their names in the Hall of Fame in the near future. This includes Kurt Warner, Marvin Harrison, Orlando Pace and Tony Dungy. 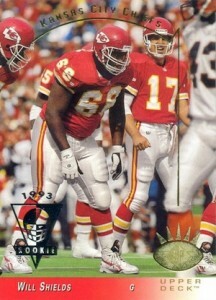 The following list features the rookie card checklist for each new induction to the Pro Football Hall of Fame. Click on the listings to shop for cards on eBay. "The Bus" started his career with the Los Angeles and St. Louis Rams franchise and ended it as a Super Bowl champion with the Pittsburgh Steelers. 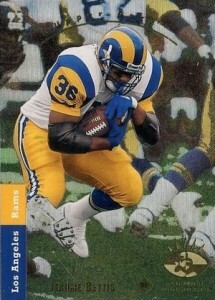 There are 22 different rookie cards for Jerome Bettis, but the clear favorite is his 1993 SP rookie card. View a detailed collecting guide here. 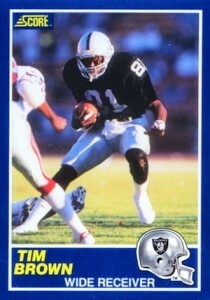 A former Heisman Trophy winner and elite NFL receiver, Tim Brown played nearly his entire career with the Los Angeles/Oakland Raiders franchise. Brown is in the top ten for most career receiving categories and collectors have three primary rookie card options. View a detailed collecting guide here. While his life ended prematurely, few played the game with the same passion as Junior Seau. Although the bulk of his career was spent in San Diego, Seau also played several seasons for the Miami Dolphins and New England Patriots. The first-ballot Hall of Fame player is remembered as one of the top linebackers of his era. 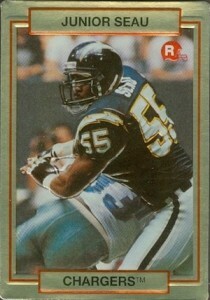 Collectors have a total of five Junior Seau rookie cards to chase. View a detailed collecting guide here. 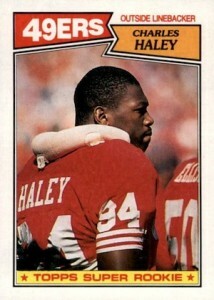 Playing for two of the biggest franchises of the 1990s, Charles Haley has more title rings than any player in league history. The former defensive end and linebacker for the San Francisco 49ers and Dallas Cowboys has only one rookie card available and it won't set you back much. Celebrated for his consistency on the offensive line, Will Shields never missed a game during his 14 seasons with the Kansas City Chiefs. There are six rookie cards for Will Shields in 1993 products and his 1993 SP card is the top draw for the 12-time Pro Bowl selection. 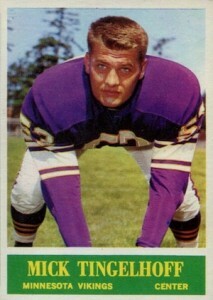 The only 2015 inductee that did not play in the modern era of NFL football, Mick Tingelhoff was an undrafted center for the Minnesota Vikings in the 1960s and 1970s. Although he was originally eligible for the Hall of Fame in 1984, he was inducted as part of the Seniors' Committee. Mick Tingelhoff's only rookie card is located in 1964 Philadelphia and values can push very high in top grade. Responsible for putting together the group that made the Green Bay Packers an elite franchise in the 1990s, Ron Wolf was a longtime NFL executive and worked with several teams in his career. 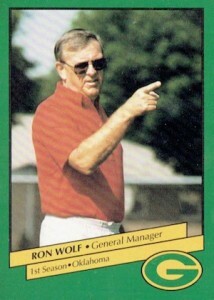 His card options are limited, but he was included in several yearly team sets for the Packers and his first card is part of the 1992 Packers 10th Anniversary Police Set. JEROME BETTIS 2015 TOPPS HIGH TEK SP SHORT PRINT #'RD 99 ! !